HONG KONG-EY announces the 16 women entrepreneurs selected to take part in its EY Entrepreneurial Winning Women (EWW) Asia-Pacific program. The Entrepreneurial Winning Women Asia-Pacific Class of 2016 includes women from Australia, China, Indonesia, Malaysia and South Korea, and for the first time, the Philippines, Thailand and Vietnam. The year-long program, sponsored by Standard Chartered Bank, is designed to assist established women-led businesses that are ready to become global market leaders, equipping participants with the tools and information needed to break through barriers that can prevent thriving businesses from scaling to their full potential. “With a combined US$5.5b in 2015 revenues and more than 30,000 employees, this year’s class of 16 participants already drives considerable growth across the region. The EWW program provides the tools they need to accelerate growth and scale their businesses globally. 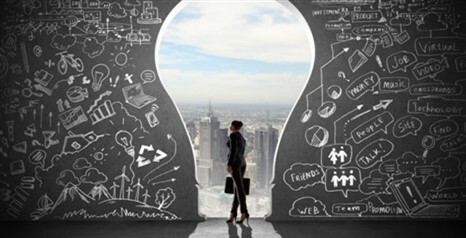 Increasing visibility for women entrepreneurs and their companies. Participants in the Entrepreneurial Winning Women Asia-Pacific Class of 2016 were selected for their readiness to scale their businesses and develop or expand their global footprints to be market leaders. These women own companies across a wide variety of industry sectors, including aviation, pharmaceutical, education, mining, automotive, lifestyle and luxury brands, and food and beverage. Jan Becker | Becker Helicopters Pilot Academy (Australia, Oceania): Offers accredited, fully customizable flight training solutions for allied defense and para-military clients. Through innovative advanced Night Vision Goggle training, the company has procured multi-million dollar global contracts. Ailian Chen | Wanfeng Auto Holding Group (Greater China): Wanfeng is an international private holdings company involved in making automotive parts; machinery and equipment; financial investments; new energy; and new land developments such as metropolitan parks. The company has manufacturing and R&D factories worldwide, including the US, Germany, Canada, the UK, India and Mexico. Minh Phuong Dang | MP Logistics (Vietnam, ASEAN): MP Logistics is Vietnam’s leader in providing trusted logistics services in air and ocean freight, distribution, cargo and warehousing serving domestic and international clients. Melanie Flintoft | Australian Fashion Labels (Australia, Oceania): This Australian-based company has seven labels with more than 3,000 stockists worldwide and satellite offices in Melbourne, Los Angeles and Shanghai. AFL wholesales to more than 20 countries and has online business shipping to more than 55 countries globally. Datuk Rosaline Ganendra | Minconsult (Malaysia, ASEAN): Minconsult is one of the largest multidisciplinary engineering consultancy services providers in Southeast Asia with international experience in four continents and 24 countries. Lauren Hall | iVvy (Australia, Oceania): One of Australia’s leading software solution providers in hospitality and events, iVvy is the world’s first real-time booking engine for the hospitality industry providing event organizer’s access to live availability of function space and group accommodation for corporate events, weddings and functions. Michelle Hu | Leyou (China) Chain Store (Greater China): Leyou.com is the first online shop in China selling maternity, babies’ and kids’ products. Leyou currently sources products from more than 530 suppliers in 21 countries worldwide and operates 456 stores across 71 cities in China. Adina Jacobs | STM (Australia, Oceania): STM designs and sells laptop bags, tablet and smartphone cases and other accessories and has offices in Sydney, San Diego and London. STM's mission is to come up with more comfortable, secure and stylish means to transport laptop and other digital devices. Jingjing Liu | Beijing JHYP Enterprise Management (Greater China): The company operates as a restaurant chain providing Chinese fast food, such as congee, cold dishes, stews, pasta and other dishes. Meihing Chak | HeungKong Group (Greater China): This conglomerate started as a home mart in 1990 and developed into an enterprise group with more than 20,000 employees and specializes in trade platform construction, real estate, financial investment, resources and energies, and the health industry. Lisa Mihardja | Alleira Batik (Indonesia, ASEAN): Alleira Batik has developed from a four-person company to one of the largest modern batik retailers in Indonesia within 10 years of operation. Its unique design philosophy of “East meets West” has enthralled many local and international prominent business figures as well as state dignitaries. Xiuru Nan | Hebei Hua An Bio-Pharmaceutical (Greater China): The company serves as a vaccine distributor that offers different types of rabies vaccines for humans and animals. The company owns the rights for an exclusive technique to extract antibodies from blood plasma, a technique that is currently widely used by major rabies vaccine manufactures in China. Milagros Ong-How | Universal Harvesters (Philippines, ASEAN): The company is engaged in manufacturing, local distribution and exportation of fertilizers. The company is committed to be a partner and major stakeholder in the success of their agricultural enterprises and has helped more than 8.1m farmers since it began operating. Hye-Rin Park | Omnisystem (South Korea): This company designs and manufactures digital electricity meters, gas meters, water meters and hot water meters and is the first in South Korea to develop digital electricity meters for remote reading. Sarina Russo | Sarina Russo Job Access (Australia, Oceania): Started as a small typing school in 1979 with nine students, this company is now operating from more than 200 global sites in Australia, the United Kingdom, India, Vietnam and China, delivering vocational and tertiary training, recruitment and apprenticeships.